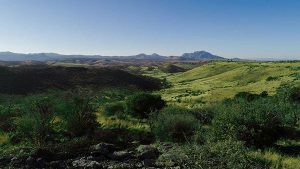 Yavapai Hills is a prestigious, custom home community conveniently situated in the beautiful rolling hills and valleys of the Central Highlands, within Prescott’s city limits, offering an exceptional lifestyle opportunity. This is an exciting time at Yavapai Hills following the latest release of custom homesite opportunities, featuring a combination of panoramic views on a variety of custom and pre-padded homesites ready for immediate construction! Prices range from $85,000 – $200K+. The unique location of this master-planned community enables residents to enjoy wonderful vistas, surrounded by acres of open space and quiet green belts that enable wildlife to continue to thrive and delight. There is also a rich heritage here. In 1913 Tom Mix, the King of the Cowboys, signed a contract to make movies in the area and moved his family to the Bar Circle A Ranch, which is now called Yavapai Hills. Over one hundred two-and three-reel westerns were subsequently filmed in and around Slaughter House Gulch, a dry wash that runs through Yavapai Hills. The “hanging tree,” a magnificent old maple with spreading branches, could have grown specifically for stringing up the bad guys. The tree still stands in all its beauty on the property. Yavapai Hills’ generously sized .4 acre homesites have a focus on natural vegetation and low maintenance and benefit from city maintained streets, sidewalks and underground utilities. The subdivision is centrally located to both Prescott and Prescott Valley and is less than 2 miles from Costco, Trader Joes, Gateway Mall, dining and more including 4 miles to Prescott Valley’s Sprouts and just 6 miles from both Prescott Valley’s entertainment district and Prescott’s historic downtown courthouse square! Community features include a clubhouse with meeting hall, library, swimming pool/spa as well as horseshoe pits, play equipment, pickle ball and tennis all for a mere $330 a year! Please call 928-331-0990 today to learn more about available home packages, currently with two preferred builders, with a myriad of floor plans to choose from, including designing a custom home to suit your needs. You can even purchase your home site at today’s prices and build your dream home whenever you wish.